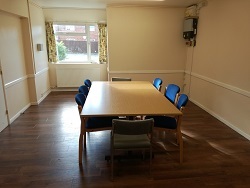 St. Margaret's Hall is situated in the heart of Hatherley, with easy access from the M5 motorway and A40 trunk road. It is also on bus routes (D & E) from the town centre. 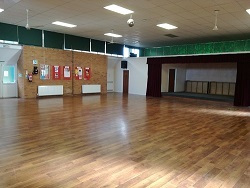 The hall is bright and airy, with a floor area approximately 200sq. 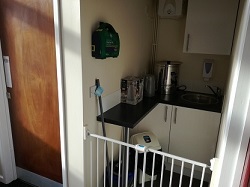 metres and a hireable side room. The Karndean floor is of good quality, and suitable for dancing. The Hall is well heated, and has an air cooling system for the hotter days. 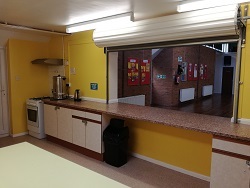 There is also a fully functional kitchen, with a serving hatch to the hall. A 100 place dinner service and cutlery are available. 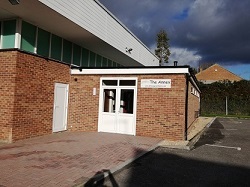 There is a fully integrated sound system, WiFi, and a small stage area, with dressing rooms either side. 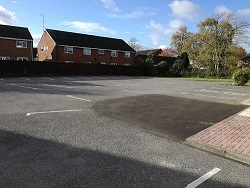 The 49 space secure car park is monitored by our state of the art CCTV system. 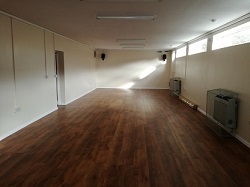 The hall can be booked for Wedding receptions, Community Groups, Meetings, Clubs, Fitness and Dance, Children's parties, Exhibitions, conferences etc. Full details regarding charges/conditions of hire, can be found by contacting our booking secretary.